The bravest of all cyclists will set off in Antwerp in the early hours (7am) and will cycle the entire pro course. No less than 4,450 have signed up for the longest distance (229 km) this year. That peloton of Flandriens will leave from the Scheldekaaien, will immediately dive into the (car free) Waaslandtunnel and will then continue their route via the Waasland to Zottegem, where the serious work can start with the Haaghoek and the Leberg. 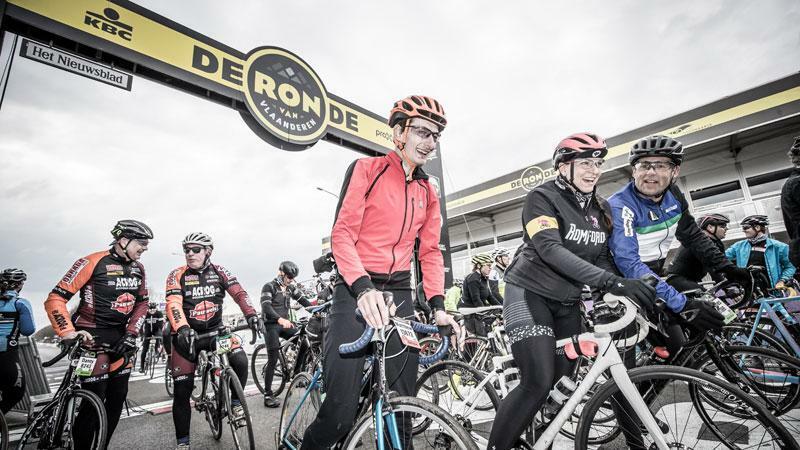 The participants going for the three other distances will start in Oudenaarde from de Qubus, once again the epicentre of this year's We Ride Flanders. This year, the majority (5,270 cyclists) have opted for the 139 km distance again, nearly 4,030 bikers will ride the 174 km (this route also takes in Tenbosse and De Muur) and another 2,150 participants have chosen the shortest ride of 74 km. 1,100 women, divided over the various distances, will appear at the starting line. Since last year, the smallest cycling fanatics can also get a taste of 'de Ronde', one day before the pros, during the Tour of Flanders for Families. A short family cycle, with lots of animation along the route and at the finish on the Market in Oudenaarde, takes the participants through the Flemish Ardennes and over the official Tour of Flanders finish line as top of the bill! The heroics of 'de Ronde' and the Flemish races attract cycling fans from all four corners of the world. 63 nationalities will be participating this year: 42% are Belgian, followed by more than 2,800 Dutch, 1,800 Brits and 1,300 French. As many as 184 residents of the United States will make the long journey to ride 'their' Tour on Saturday. There will also be 68 Australians and 23 Kiwis who will be swapping Down Under for Flanders. A brave delegation of 20 South Africans will be coming down to Oudenaarde. Even a handful from Hong-Kong, Taiwan, Niger, Nepal, Mozambique, India and Bermuda will appear at the start. This is the seventh year in a row that the total number of participants in the event has been limited to 16,000 and that the starter packs were sent out weeks beforehand. That is the only way the event can be organized comfortably, safely and with respect for the surroundings and the environment. Organiser Peloton concluded an agreement on the matter once more with the Province of East-Flanders. A number of stretches of the route are for the exclusive use of the cyclists with a bib number: such as the Waaslandtunnel, the Koppenberg and the Oude Kwaremont. In any case, the organisers are fully committed to safety and comfort. 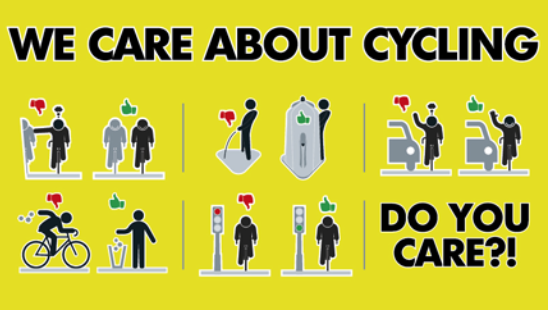 Through several channels, the participants have been made aware of the traffic regulations (use cycle lanes, do not ignore red lights,...), and to respect each other and other road users, but also to pay attention to the environment and the surroundings. More than 400 race marshals will be helping out on Saturday, 30 of which will be mobile along the course, and there are over 150 warning signs, 260 rubbish bins and 210 toilets on the route. More than ever before those who do not get a chance to be there still have the opportunity to experience the unparalleled atmosphere of the greatest cycle tour of the country. Studio Brussel will be broadcasting a marathon radio programme from a mobile studio on the Droesbekeplein in Oudenaarde (1-6pm), which you can also follow on TV (on één) showing lots of snippets, interviews and music. Stijn Van de Voorde will be riding the short distance with a peloton of listeners and, furthermore, a DJ of the radio station will make the edges of the Oude Kwaremont shake with uplifting beats. Everybody will also be able to follow everything closely via the channels of We Ride Flanders, right down to the performance of the individual participant you know. On the 'Giant My Page' on the website you can see who is where, including footage of the cyclists climbing the eight hills. 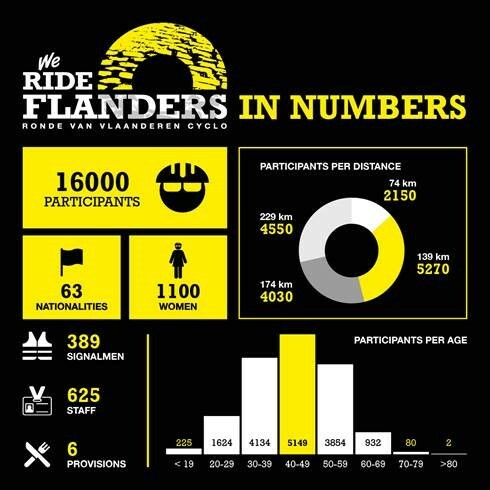 There will be updates, reactions, photos, messages of encouragement throughout the day,... on the website, and Facebook, Instagram and Twitter pages of We Ride Flanders.